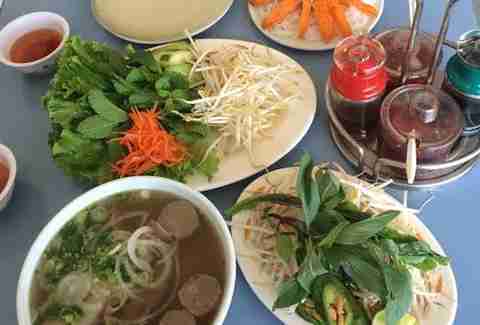 Vietnamese food is known to cure what ails you. Be it a sinus infection, a brutal hangover, or a case of the blues. Fortunately, and almost inexplicably, the Detroit area is blessed with a number of authentic Vietnamese joints. Take a cruise through the close-by Detroit suburb of Madison Heights and there’s no surprise the city has been dubbed "Little Vietnam" or "Little Saigon" (depending on whom you ask). Asian specialty markets and Asian immigrant-owned businesses line the bumpy byways. As of now, there are at least nine Vietnamese restaurants in Madison Heights, and others in Warren, Clawson, Ann Arbor, Ypsilanti, and across the border in Windsor. To serve the varied tastes of the population, many of these restaurants also feature Korean, Chinese, and Thai specialties. 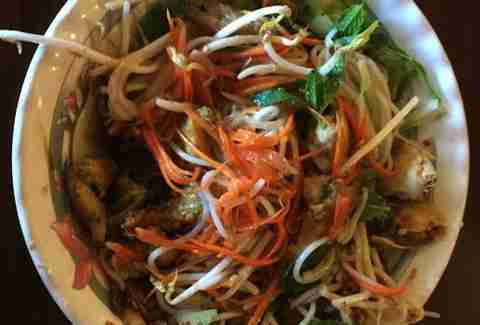 To help narrow down your choices, here are the top five Vietnamese restaurants in the area, with a nod to the specialty of each locale. Bring your appetite, and a few tissues in your pocket. The pho is the star at this place. The broth is heavily flavored and the meatballs are hearty. Check out the other house specialties, including marinated quails, rabbit, goat, and even wild boar. Another strong move is the Mi Xao Don – crispy egg noodles in a sweet and spicy sauce, topped with seafood, meat, and fresh vegetables. The pho, once again, is outrageous. After all, it's in the name! 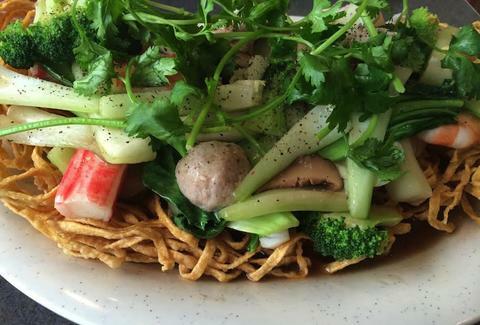 You really don't need to look anywhere else, but the dried vermicelli dish also deserves a nod. If you’re feeling especially gluttonous, don’t miss the chance to eat a massive bowl of pho for free – if you can manage to finish it within an hour. A second location has opened in Novi, perfect for hitting up after a long morning of mall walking. One of the more decorative spots, where the shrimp & pork appetizer rolls are arguably the best in the area -- truly meriting the adjective "fresh". A special nod also goes out to the Canh Chua Tom – a massive serving of hot & sour shrimp soup packed with veggie goodness, and the Bun Thit – a vermicelli dish with meat, vegetables, and a crispy roll. Two words: pineapple milkshake. 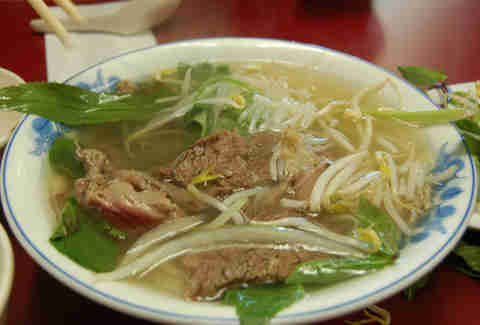 OK, now that’s that out of the way, it’s time to mention the pho here, which is among the richer broths you’ll find. And don’t skip the build-your-own fresh rolls – see, those rolling skills really do come in handy outside of your living room. You can also find a dish here that includes pig’s blood – you know, for your next ritual eating experience. But possibly above all else, it is certain that Thuy Trang has the best coffee in Madison Heights. Yes, friends. There are those among us who find the cuisine at this establishment worth the potential border hassle. The pho receives rave reviews here every time. 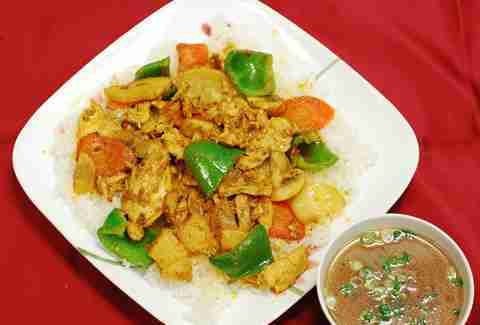 If you want to make being detained for having foreign leftovers in your car while getting back into Detroit even more worth it, check out Mini Restaurant as well – it’s been around for more than 20 years and was the first Vietnamese joint in the area.